A whole new crop of releases are available from CMON. They've got Gizmos, a family-friendly board game. 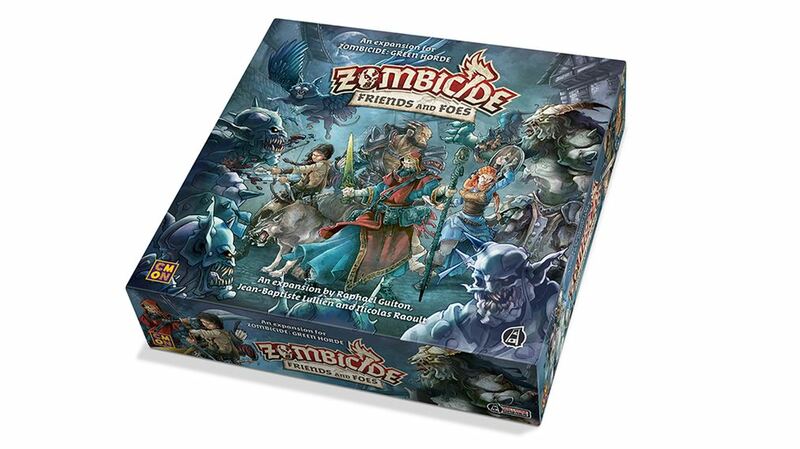 Then there's a pair of Zombicide: Green Horde expansions in the form of Friends and Foes and No Rest for the Wicked. Topping things off, there's the Stark vs Lannisters 2-player Starter Set for the A Song of Ice and Fire: Tabletop Miniatures Game. 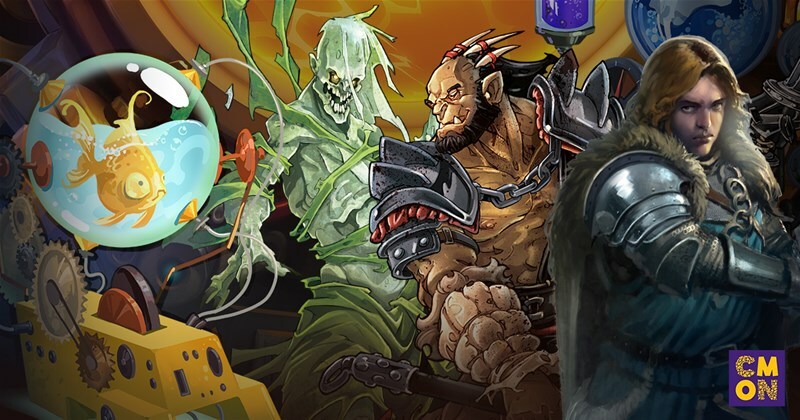 This is a pretty big release month for CMON. 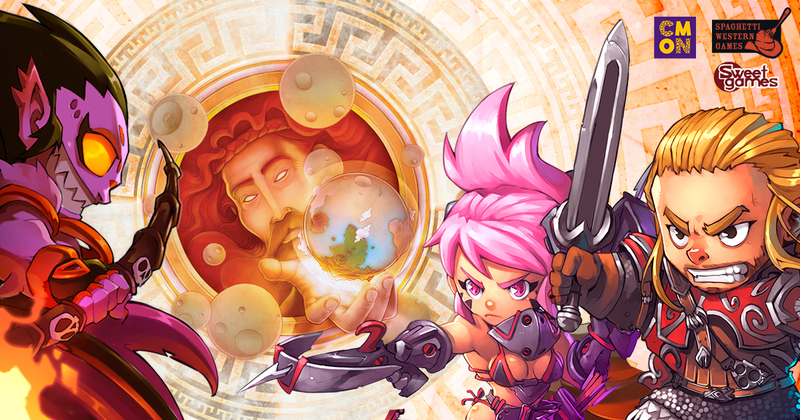 They've got two core games and two expansions, split up between some of their more popular games. 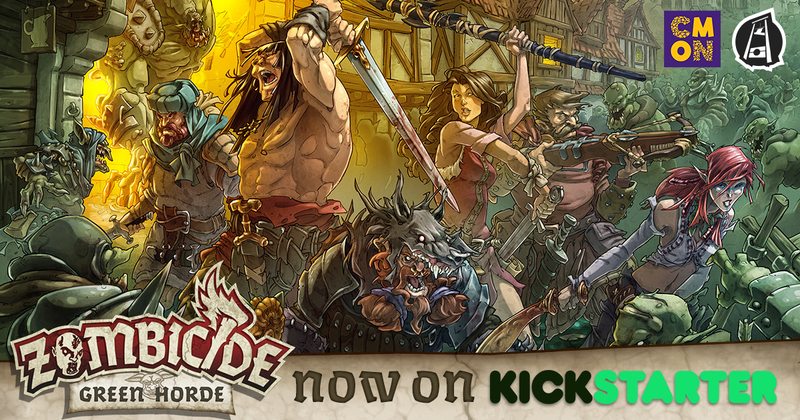 There's the latest version of Zombicide in the form of Green Horde. There's also the Rise of Moloch core box. The expansions are for Lorenzo il Magnifico, as well as Bloodborne: The Card Game. At the CMON Media Event, we were able to get a look at various games that they have coming down the pipeline. One has a bit of extra pull for me, since I'm an old greenskin. 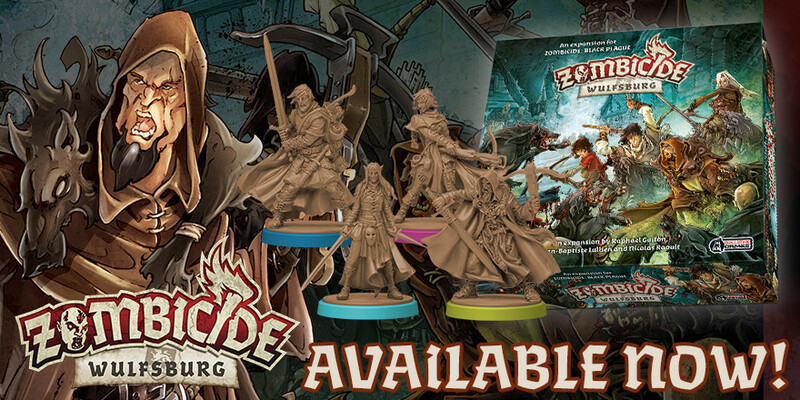 Green Horde is the newest set for Zombicide: Black Plague. 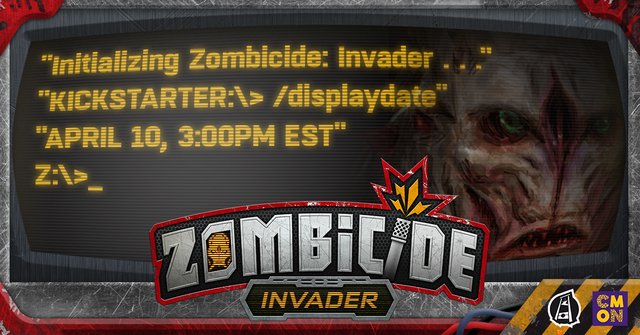 The horrible zombie menace hasn't just been contained to humans and some animals. The Orcs have also fallen victim to it. The implications for that are pretty gruesome for the few remaining survivors. No matter how long a Kickstarter campaign is, there's always the chance you just don't have the funds available at the time. It's happened to all of us. 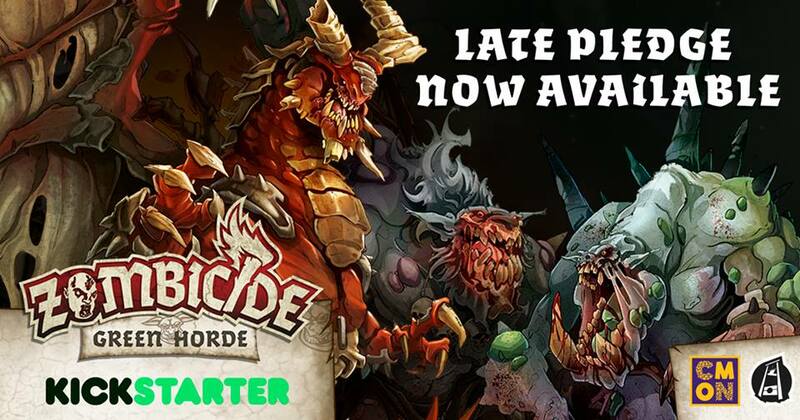 Well, if it happened to you during the Zombicide: Green Horde Kickstarter campaign, never fear! The Late Pledges have opened up and let you jump right in, getting all those great exclusives I know you all love so much. 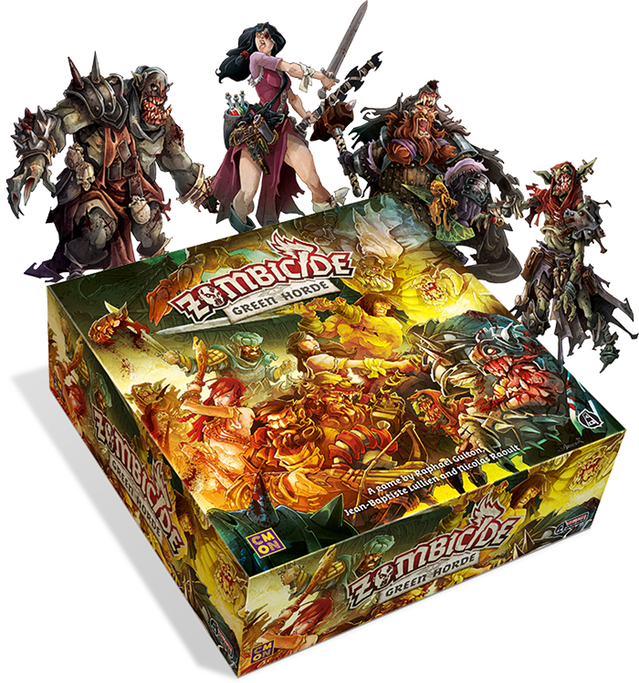 As with the big-box releases for Zombicide, there's a smaller-box expansion that goes along with it. 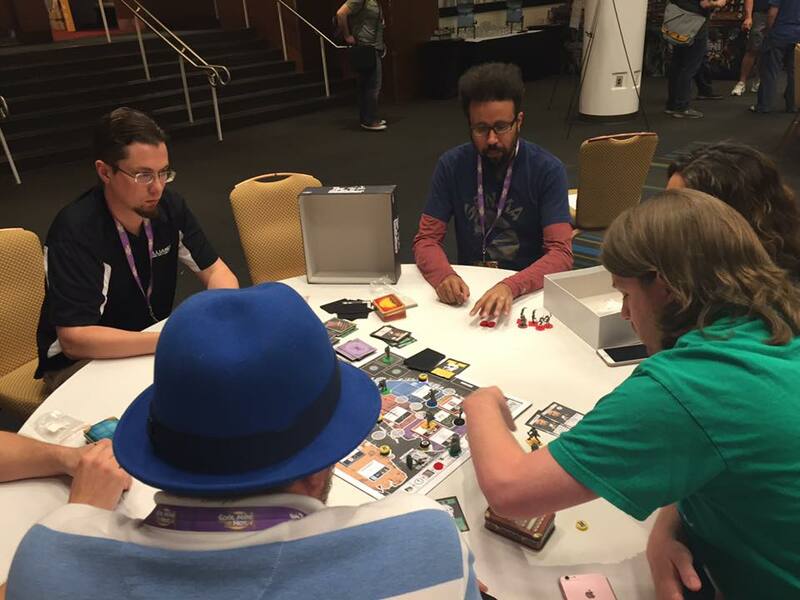 In the case of Green Horde (currently up on Kickstarter), it's the Friends and Foes box. There's some new survivors, new familiars, and some new tiles, full of zombie goodness. The Black Plague games have shown us that it's not just humans that can succumb to the forces that cause you to be raised from the dead and seek to feast on the living. We've seen crows and wolves, but other sentient races can be affected as well. I Green Horde, the orcs have had their populations turned into zombies. Now they're coming into the human lands. 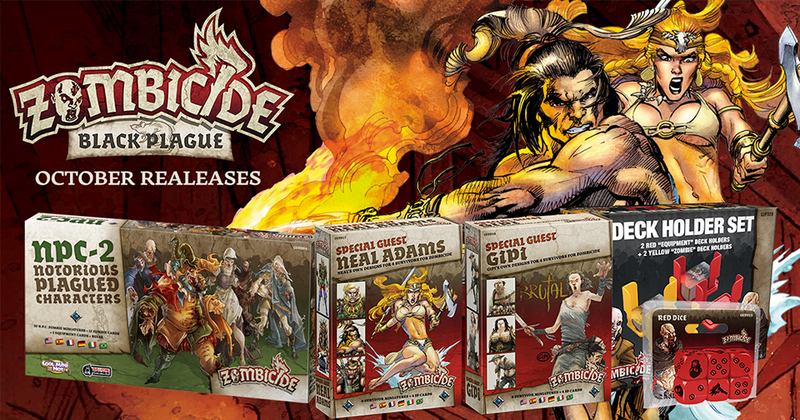 Green Horde is a new standalone expansion to Zombicide: Black Plague. It's up on Kickstarter now. Be that as it's May, we've got all sorts of plants blooming. The world is becoming green. Though the green that's just over the horizon isn't quite what we want to have in our garden. 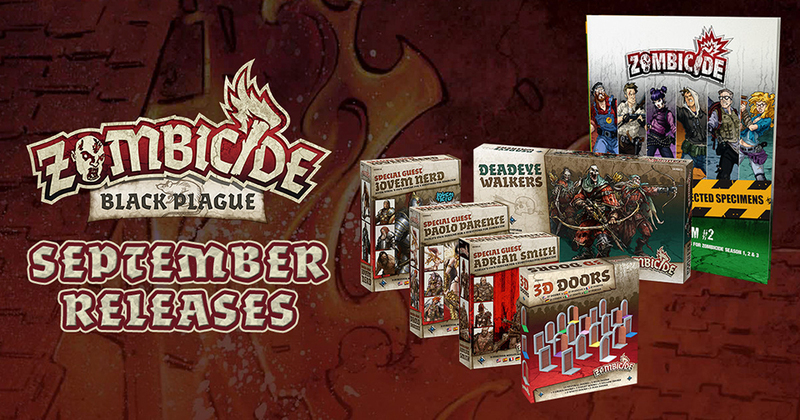 Green Horde is the new standalone set coming for Zombicide: Black Plague. It'll be launching at the end of May on Kickstarter and CMON's posted an overview of what you can expect. As has become customary, the end of the old campaign ushers in an announcement of a new one. 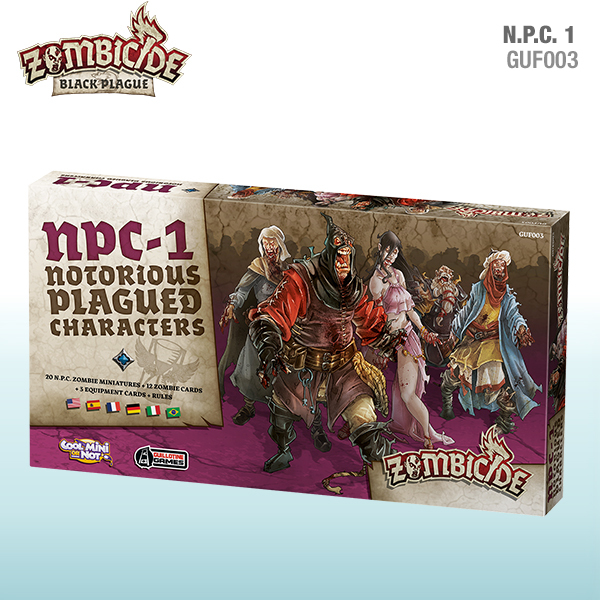 In this case, it's a new expansion for Zombicide: Black Plague. In this case, it's Green Horde. Yes, as if humans, wolves, and crows weren't bad enough, now the survivors of the zombie plague will have to fight zombie orcs and goblins. It's the last day of the month. We're 1/4 of the way through the year. The summer heat isn't far away. Time to get your board game collection bulked up and get set for some hot months ahead (or cold ones, if you're down south). 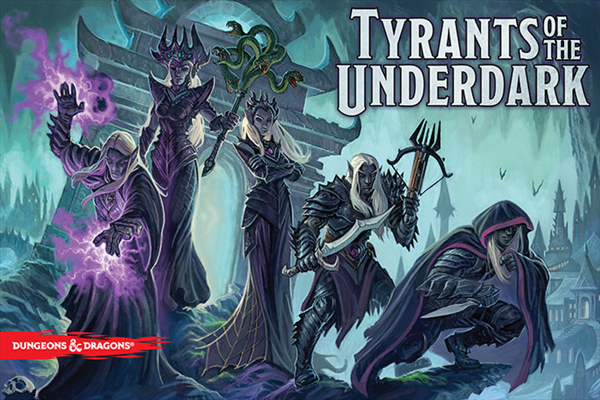 CMON's got a whole bunch of new releases available today that you can pick up at your LGS. October is the time for all sorts of spooky and scary things to invade our everyday world. Zombies certainly fit into that category. Seems a couple games of Zombicide would be a perfect way to celebrate the season. And in just a couple days, there'll be some more releases for the game to expand your options. Saturday! Saturday! Saturday night's alright! Ok, so it's not actually Saturday night yet, but it will be soon (well, for me. Some of you are already well into Saturday night. Bloody time zones). Anyway, I know what you want. You want some reviews. So let's get to it. Today we have: Package, Zombicide Black Plague, GAMEMAT EU's Battle Mats, Sprue Grey: Wargame Hobby Magazine - The Golden D6 Tutorial Issue, D-Day at Omaha Beach, The Walking Dead: All Out War, Beer Empire, The Undercity, Haspelknecht, Pursuit of Happiness, Dracula’s Feast, Agricola: All Creatures Big and Small iOS, Agricola: Family Edition, Dwarf War, and Get Rich Quick. I totally failed to realize that yesterday was the first day of autumn. So it's officially ok to start talking about all things spooky and scary. Pumpkin-flavored everything! The latest releases for Black Plague fit the first thing fairly well. Though I wouldn't suggest trying to find out if they're pumpkin flavored. They're also available now. 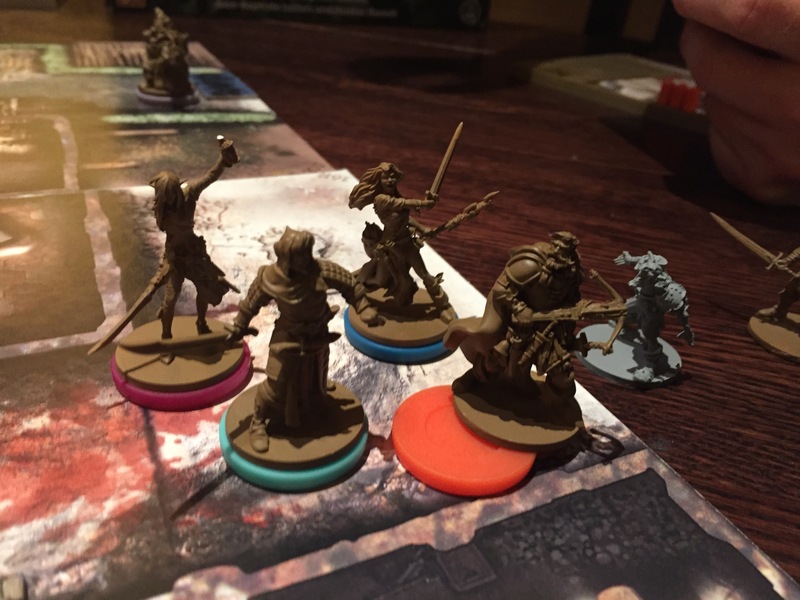 The Black Plague in the world of Zombicide is a bit different from that of the real world. Here, you had rats and fleas carrying a virulent diseases all across Europe. 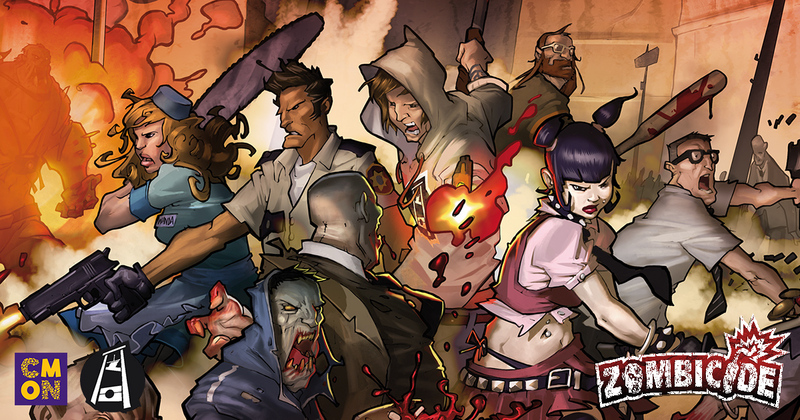 The Zombicide world is a bit more straight-forward: You just had necromancers spawning zombies all over the place and those zombies, y'know, eating people's faces. Well, there's 4 new releases available so you can expand your Middle Ages zombie-hunting games. Gen Con's on, but not all of the news is coming from the convention floor. This one just hit my inbox and I wanted to share. 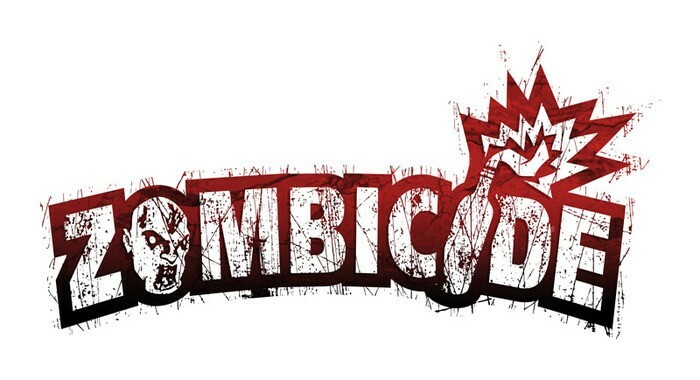 CMON has picked up the branding and intellectual property rights for Zombicide from Guillotine Games. 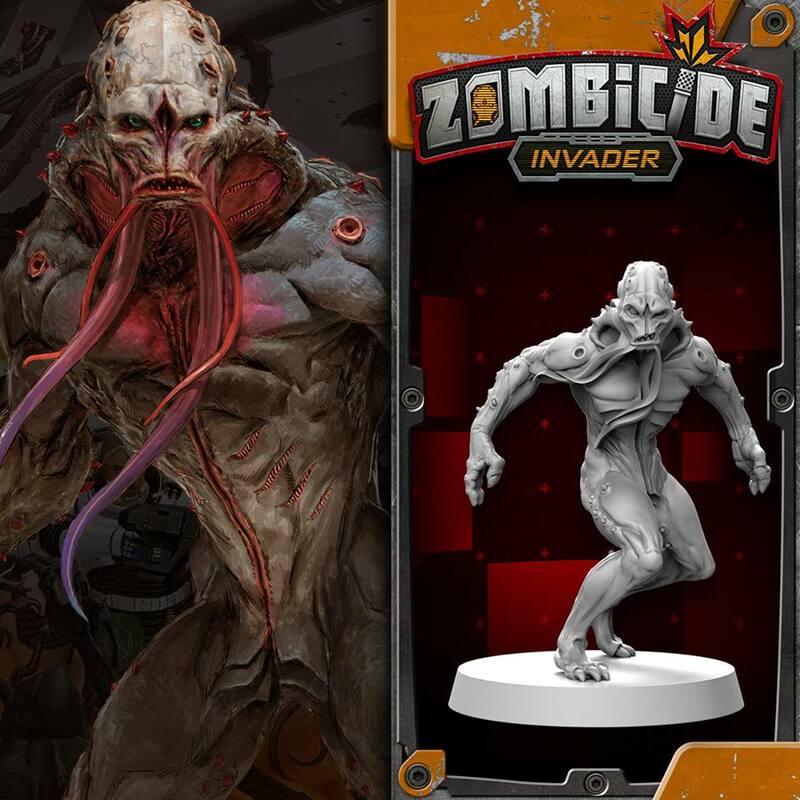 The two companies have been working hand-in-hand all up to this point bringing you Zombicide, with CMON producing and distributing the game. Now they're going to be even tighter as the franchise moves forward. It's bad enough that there's humans that have been infected by the zombie plague. Then you've got the wolves coming after you as well. But this time around, the zombie plague is going airborn (of sorts) as now even the crows have succumbed to the foul magics of the necromancers and are seeking to devour the flesh of the living. It's going to take some stalwart heroes to face down this menace and make the world safe for the not-un-dead. 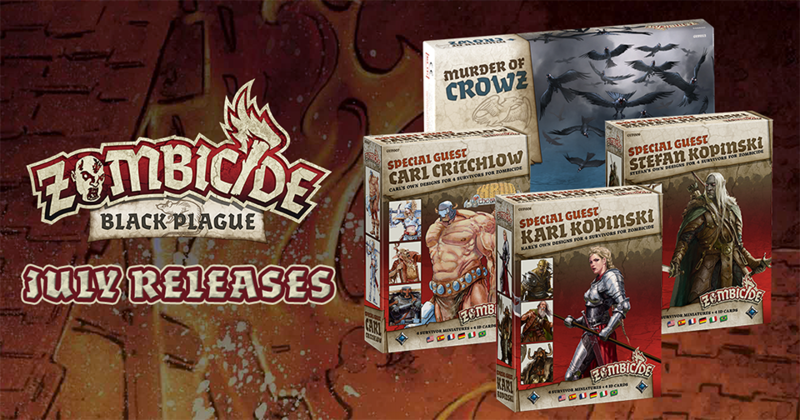 And that's just what we have with the new Zombie Crowz as well as the Guest Artist Boxes now being available for Zombicide: Black Plague. 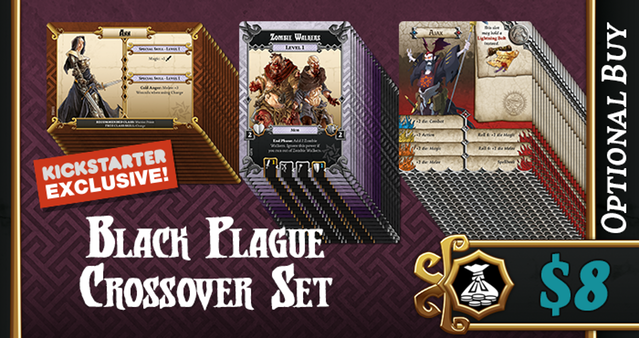 The Kickstarter campaign for Zombicide: Black Plague had a lot of Kickstarter-exclusive expansions and add-ons for it. But that's not to say that all of it was Kickstarter-exclusive. Several of those expansions were slated for regular retail release. And, as you know, I always love to see that sort of thing happen. 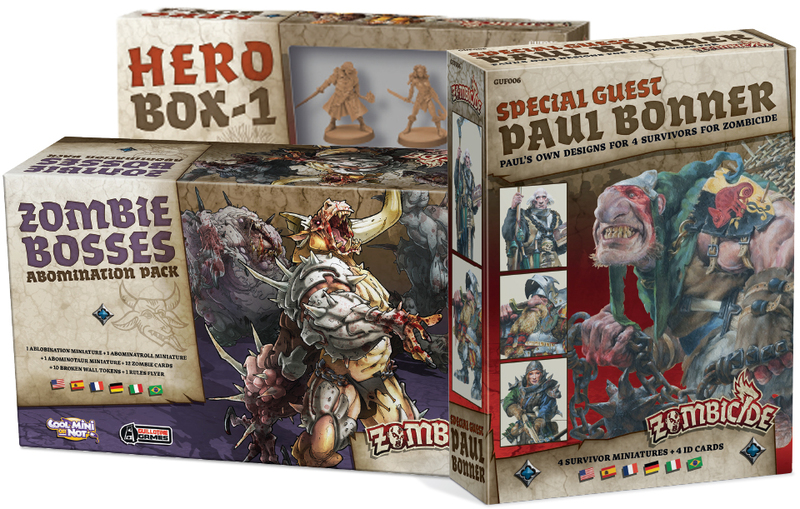 And that's just what is happening with Hero Box 1, Zombie Bosses, and the Paul Bonner Special Guest Artist box. It's Friday, everyone. Keep calm and we'll get through this just fine and then move onward into the bliss that is the Weekend. My gaming is going to start early, as when I get out of here, I'm going to an Irish Pub nearby for some bangers and mash. Afterward, it's back to my place for Guild Ball (gonna teach a friend that's been wanting to learn since Adepticon). But before I head out, I'm going to have an appetizer of bite-sized gaming stories. Today we have: New 360 Video Posted by Red Panda Miniatures, UNITS - Post-apocalyptic Loot Cards on Kickstarter, Gale Force 9 demos Tyrants of the Underdark at Origins Game Fair, The Army Painter Running Zombicide & Wulfsburg Painting Bundle Deal, Biohazard Game Contest Happening Now, New X-wing and Armada Accessories from CorSec Engineering, Kromlech Weekend Promo Announced, and Dust USA At Origins. Well, hopefully by checking out the Massive Darkness rulebook, you've seen that Massive Darkness and Zombicide: Black Plague are different games. But that doesn't mean that there's no way to crossover between the two. It just takes a bit. That bit is now available as an add-on in the Massive Darkness Kickstarter campaign. It's been a great day here at the CMON Expo. Lots of cool stuff going on. Lots to see. Lots to do. What? You don't believe me? I thought we were better friends than that. But fine, if you want photographic evidence of the awesomeness, that's alright. I've got you covered. I saw a werewolf with a Chinese menu in his hand, walkin' through the streets of Soho in the rain. Ok, being fair, I've never been to London, and thus, never to Soho. Maybe someday. I hope I don't run into any werewolves, though. And while you might run into a werewolf in the Wulfsburg expansion to Zombicide, you will run into zombie wolves (and the wolfbomination, which is pretty close to a werewolf, but not exactly one), which is probably worse. A lot of people love Zombicide. To help you play, a companion app has been around for a while, but this version updates the User Interface to be more user-friendly. It does away with the need for a lot of the various extras and sundries of the game. It has a virtual equipment card deck, a virtual player dashboard, an action manager, and even virtual dice. Well, the 3.0 version of the app is now available.